At GLOBTROTER we offer several different options of accommodation - as to better match your requirements and needs. Our en-suite room accommodation includes: 3 single rooms, 8 double/twin rooms (some of these can sleep 3), 3 suites (sleep 4/5) and 2 family rooms (sleep 4). 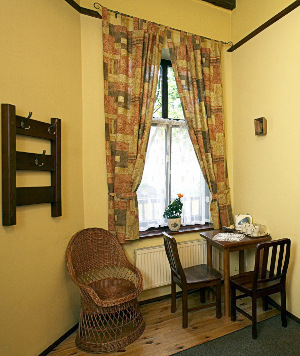 All of our rooms are spacious, full of character and well-furnished. They each have en-suite bathroom with shower, satellite TV, tea/coffee making facilities as well as free WiFi internet access in every room. We aslo provide a daily room cleaning service. All rooms face our beautifull courtyard and are of the same standard; not every room is accessible to the balcony.